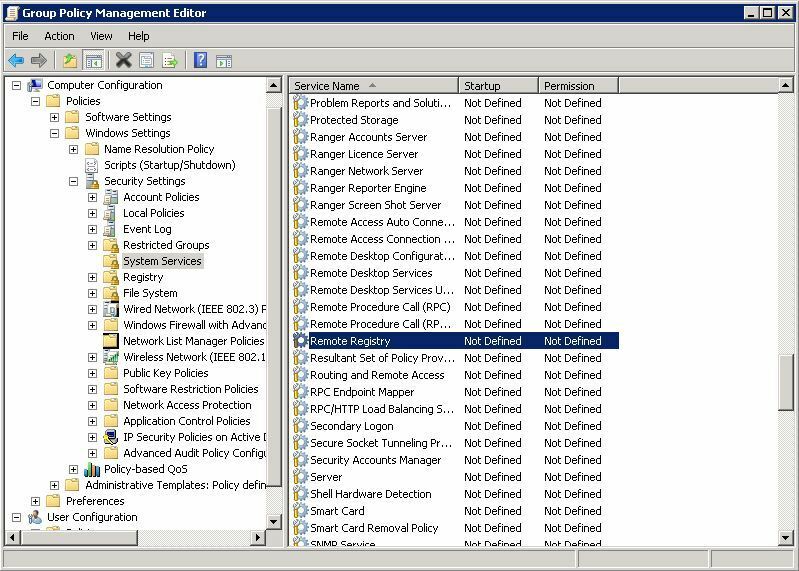 I was rolling out Trend Worry Free Business Security this week, and to send out the client software all the client machines needed the remote registry service enabled. That’s great but it’s set to manual startup be default. 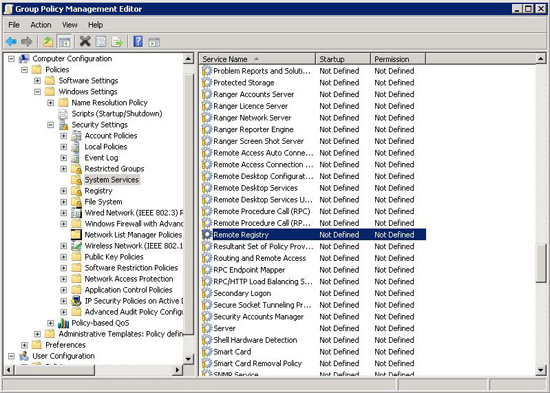 As I didn’t want to visit each machine I wanted to do this through group policy. 2. 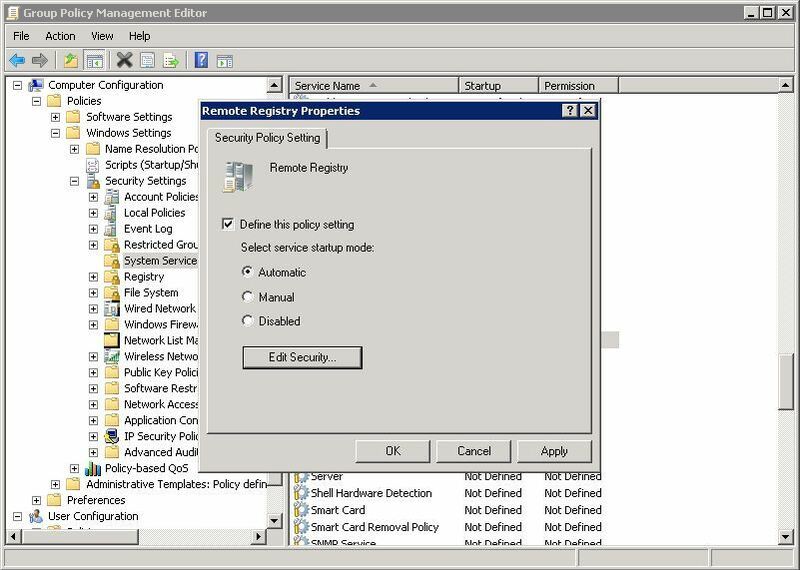 Navigate to, Local Computer Policy > Computer Configuration > Policies > Windows Settings > Security Settings > System Services. 3. 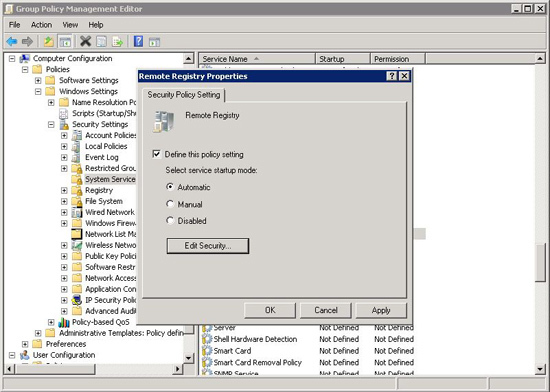 In the right hand pane locate “Remote Registry”. 4. Define the policy, and set the startup type to automatic. 4. Then (post reboot) All your clients will have the service running.